Similar to the recent story about our buddy TurboRoo, today we have another instance of 3D printing coming to the aid of one of our friends in the animal kingdom. A duck was basking in the sun at National Taiwan University, when a dog randomly attacked the unsuspecting bird. A local animal hospital performed immediate surgery to repair the fowl; yet coming out of the procedure they determined that it would not be able to put any weight on its leg. 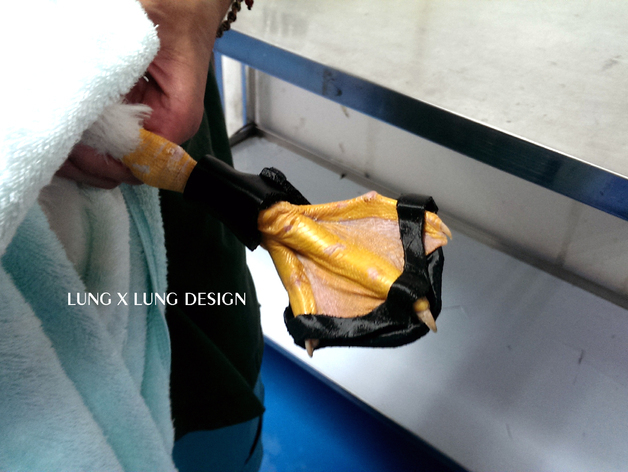 In true Maker fashion, the ingenious collaboration of Taipei Hackerspace and design firm Lung X Lung turned to 3D printing to help out the duck. 3DPrint.com reports that the team used 3D Systems’ Cubify Sense 3D scanner to make a mold of the duck’s foot and capture the leg in three dimensions. Following the scans and some quick analysis, the team 3D printed a covering where Quack-Quack’s foot would reside, as well as a brace that would be attached to his leg. After a few prototypes and fittings, the team found a suitable brace that the newly-dubbed Quack Quack could wear without impairment. Quack-Quack can now motor around his favorite pond just as he did before the incident. Though 3D printing has successfully been used in healthcare on several occasions, it’s always heartwarming to see its benefit for all walks of life. Watch Quack-Quack’s incredible story below. 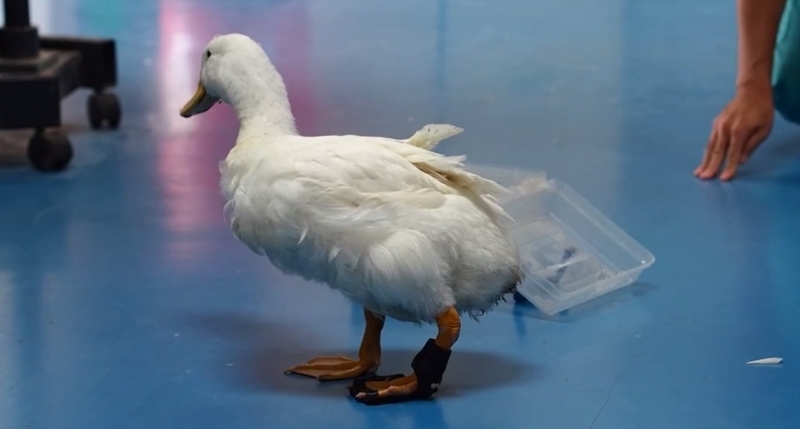 According to Taiwan’s Apple Daily, animal rescue workers and animal welfare advocates in the country have celebrated the creation of Quack Quack’s brace and his recovery as a big win for 3D printing and its potential in assisting creatures of all kinds with disabilities. 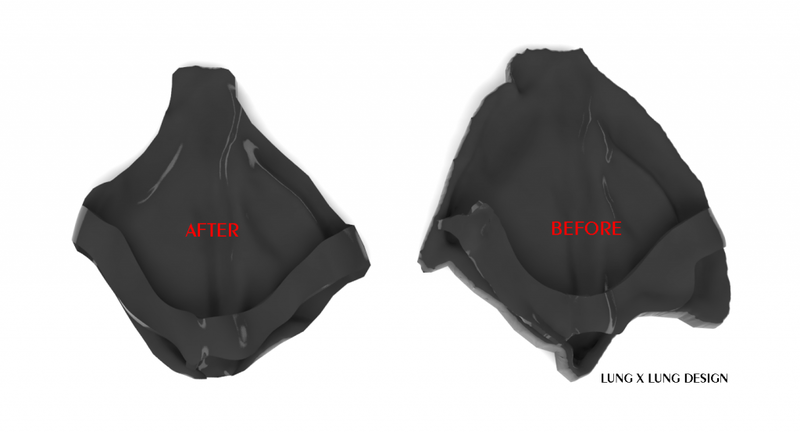 However, they noted that the technology’s full potential has yet to be achieved, as 3D modeling and printing remains a time-consuming and expensive enterprise. Quack Quack is an ideal example of the benefits Atmel powered 3D printers can offer both humans and animals alike. “Every year there are thousands of birds that get injured by vehicles, clothes lines, hunters or other animals. Many times they are injured to a point where they can no longer function correctly in the wild, and their caretakers are left with no choice but to put that animal down… [This story makes you] realize that 3-D printing can really be used for some great causes,” wrote 3DPrint.com. This entry was posted in 3D Printing, Maker Movement and tagged 3d printed, 3D Printing, 3D Printing Ducks, 3D-Printed Brace, Maker Movement, Makers, Taipei Hackerspace on August 14, 2014 by The Atmel Team.